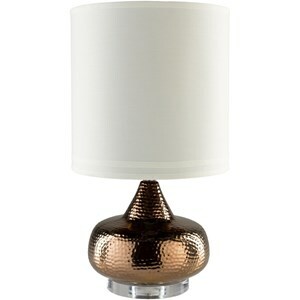 For your elegant and contemporary style you need the Carmichael Table Lamp. 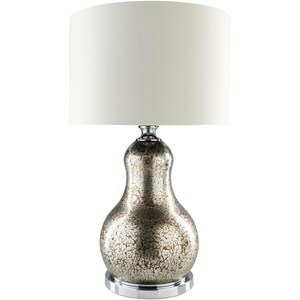 The innovative and versatile design with a pewter glass base works in any space. The beige cotton drum shade balances out the lamp as a contemporary piece. 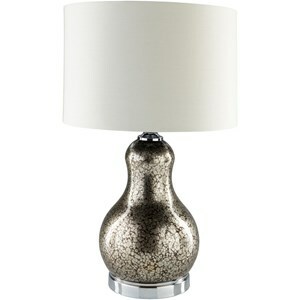 The Carmichael Pewter Table Lamp by Surya at Hudson's Furniture in the Tampa, St Petersburg, Orlando, Ormond Beach & Sarasota Florida area. Product availability may vary. Contact us for the most current availability on this product. Browse other items in the Carmichael collection from Hudson's Furniture in the Tampa, St Petersburg, Orlando, Ormond Beach & Sarasota Florida area.